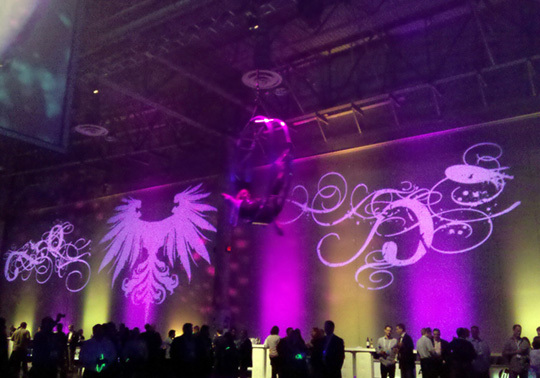 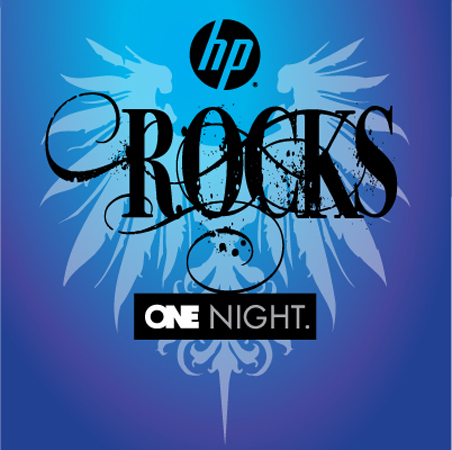 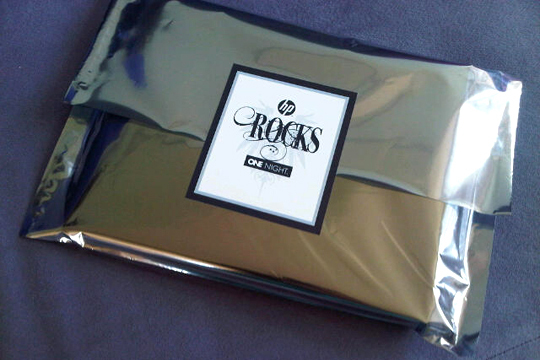 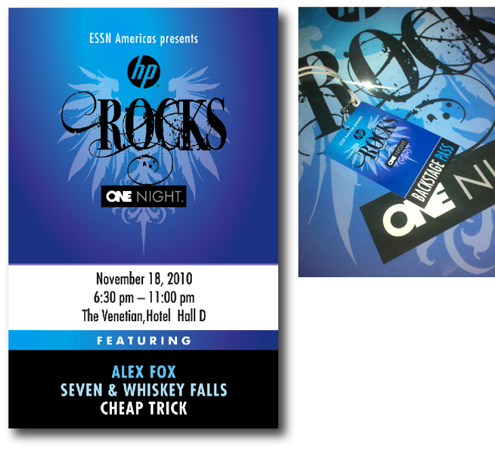 BK Design turned HP into a rock star for their 2010 Sales meeting in Vegas. 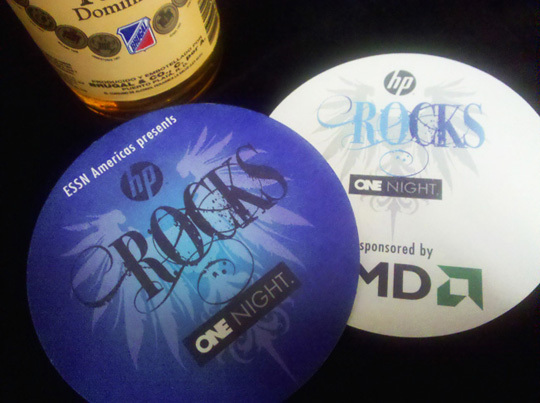 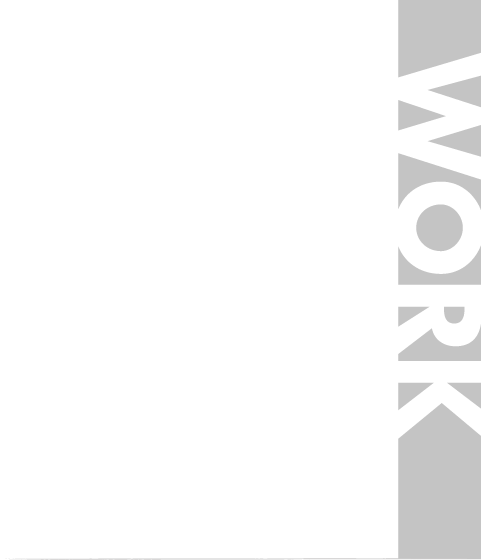 A logo, access passes, bars, signage, and cool wall gobo all rocked! 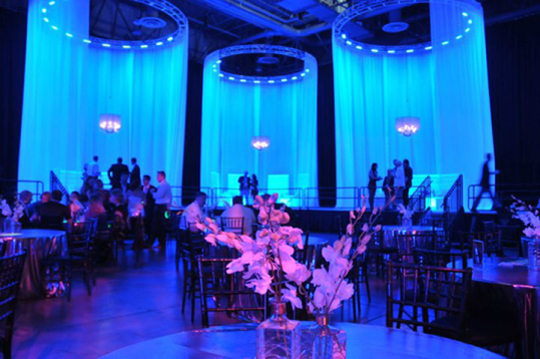 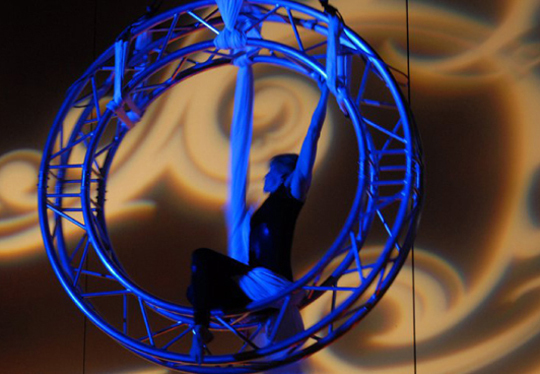 Mars Productions produced the sleek cabanas, choreographed aerialists and amazing décor.